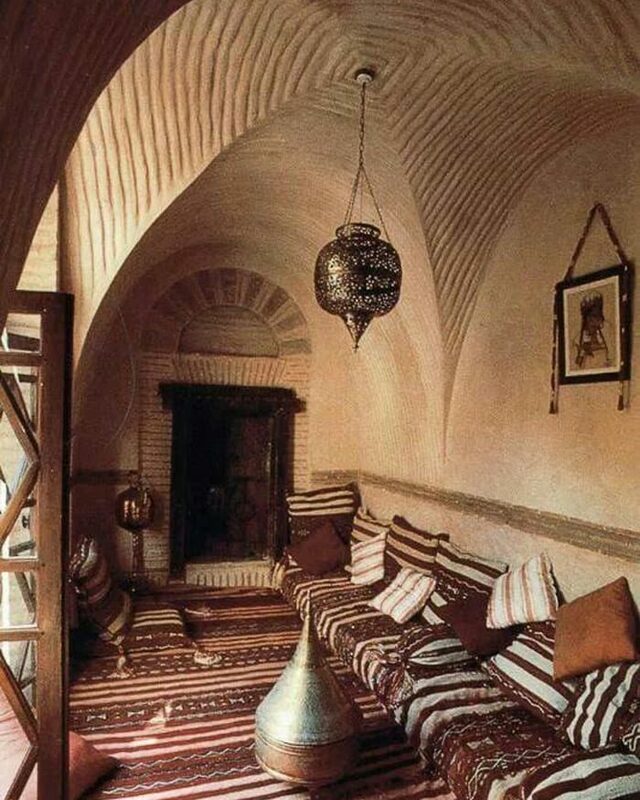 I was always charmed by the atmosphere in Moroccan Living rooms. I mostly like the idea of sofas and tables set inviting low to the ground. 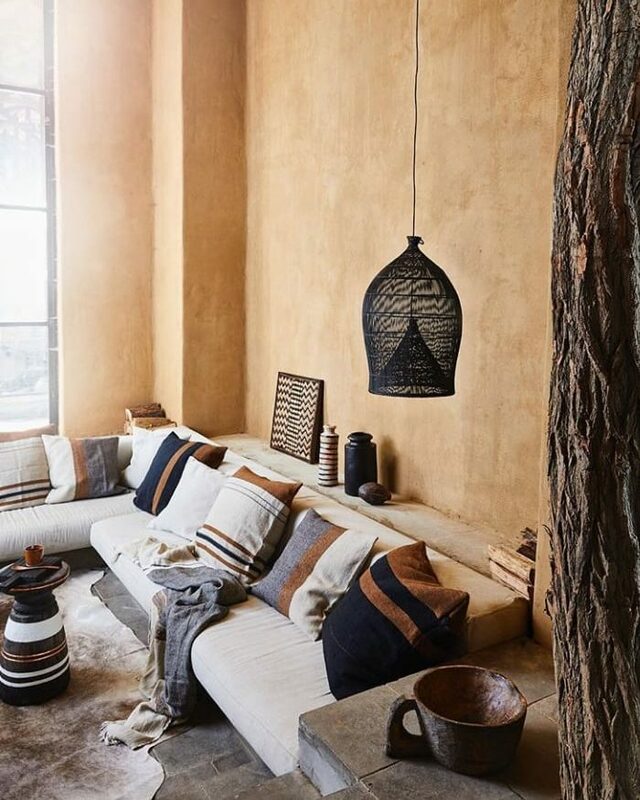 The perfect Moroccan style cozy corner for me is covered with mixed rugs and stacked floor cushions all around the place. You might think that these interior spaces are busy with strong colours and patterns, but I noticed that the furniture is kept simple. I decided to make a modern take on Moroccan style, with Rafa-kids low to the ground A teen bed. I connected it all together with low baskets, rugs and floor pillows. It has warmed up the entire space. 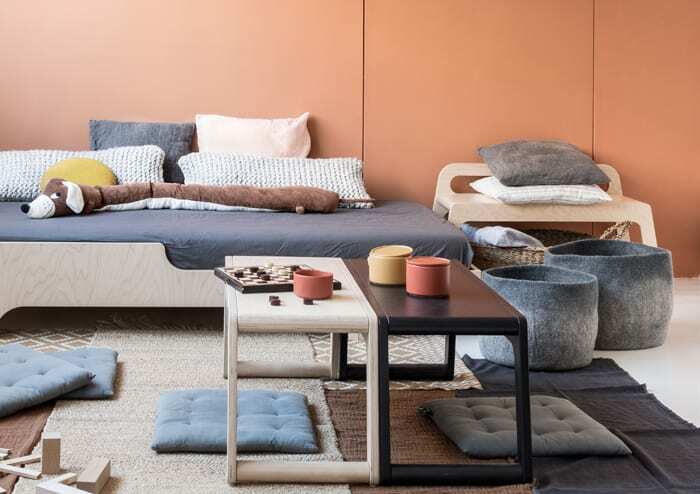 If you like to have a carpet in a child’s room, please don’t stop at one when you could have a few, rather layer the rugs of varying textures and patterns for a cool vibe. 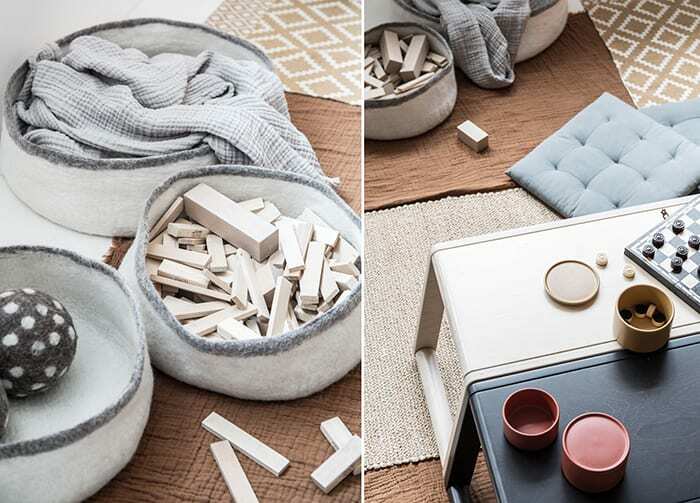 You can choose a light rug with a subtle pattern, stick to one or two colors and patterns, then pick baskets and pillows with the same tone – and here you have it! 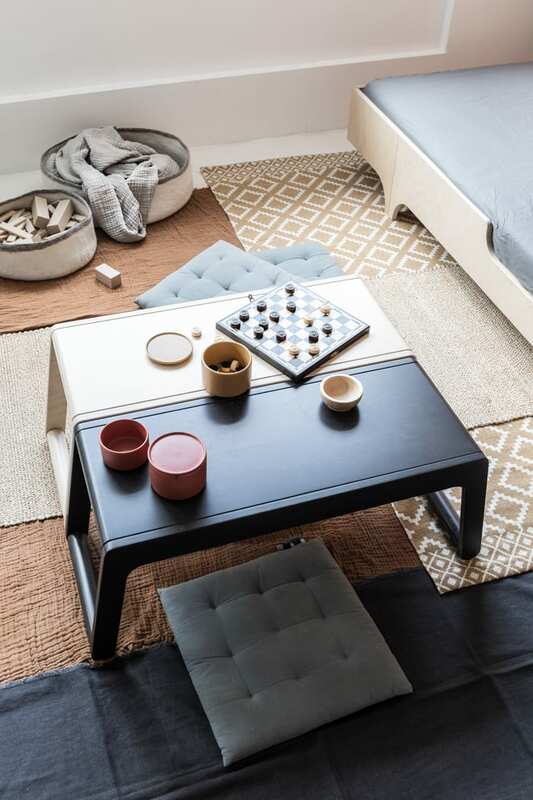 I like the idea of using two Rafa-kids benches as a coffee table in the middle of the room. 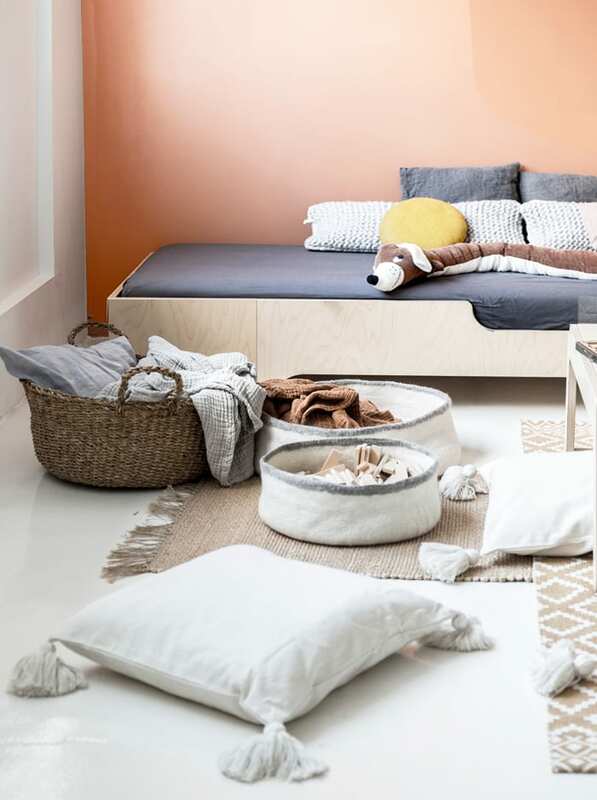 Kids can play on it, and afterward can move it next to the bed or next to the wall to keep space more light and organised. 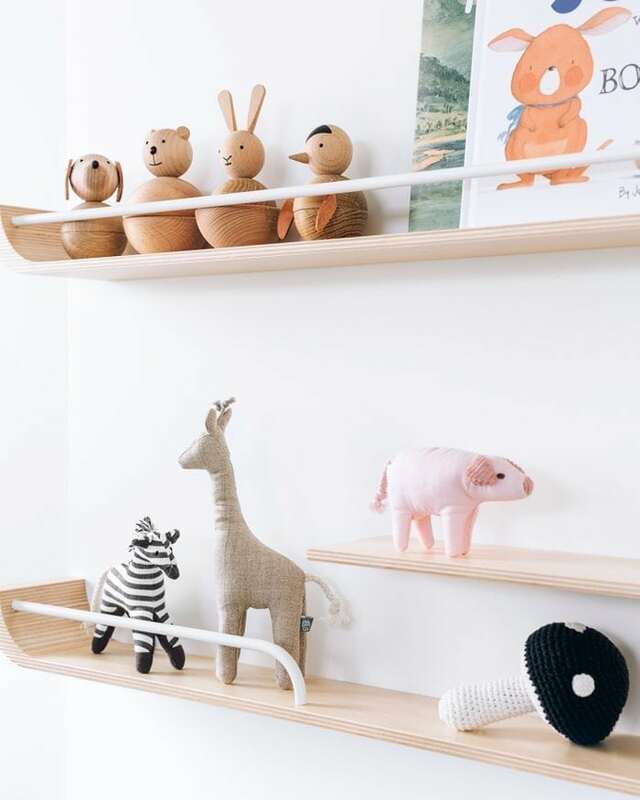 I hope you like the ideas and would try to experiment a bit in your own children’s room; I’m sure they would be happy to help and have plenty of other ideas ! Posted in Monday Ideas for kid's room, Rafa-kids Design and tagged #kidsroom, #kidsroom#kidsroomideas#lifewithcolor.